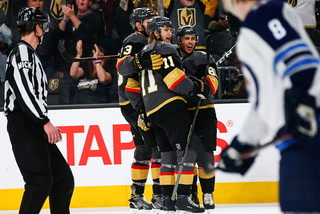 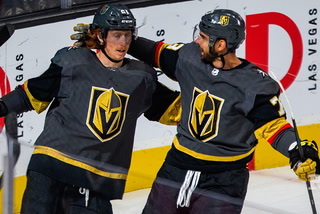 Luca Sbisa and Ryan Reaves combined for one of the biggest goals in the Golden Knights’ young history. 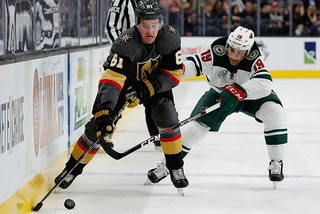 One of those players reportedly is on the verge of returning, while the other is set to leave in free agency. 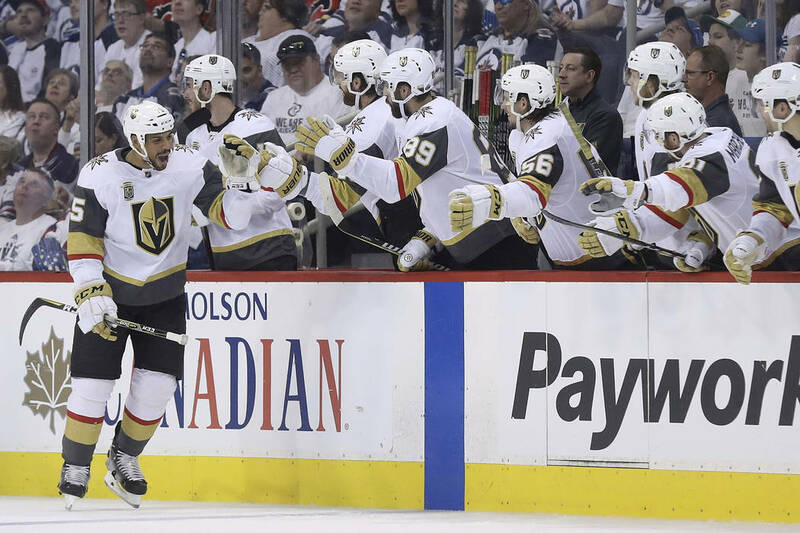 Luca Sbisa and Ryan Reaves combined for one of the biggest goals in the Golden Knights’ young history. 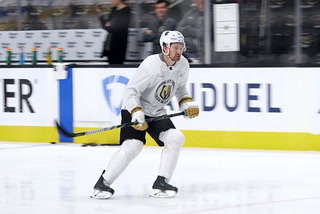 One of those players reportedly is on the verge of returning, while the other is set to leave in free agency. 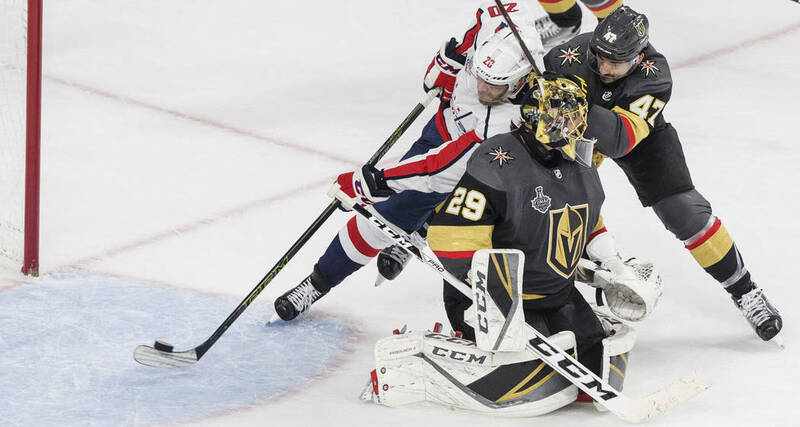 Reaves will re-sign with the Knights when free agency opens Sunday, according to multiple reports. 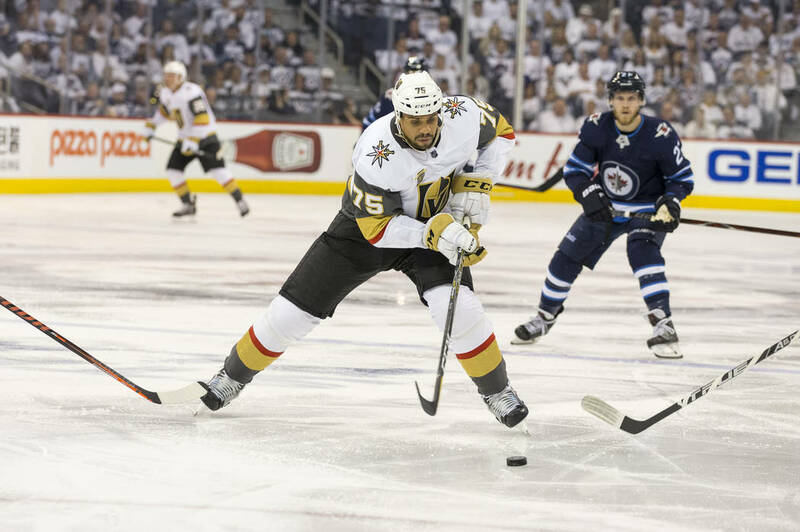 The New York Post reported that the Rangers, who previously expressed an interest in the rugged 31-year-old forward, were informed Reaves was not an option for the team. 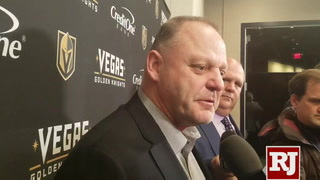 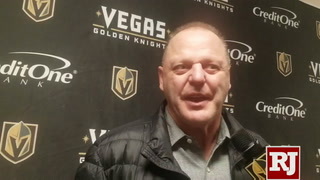 NHL insider Elliotte Friedman also reported that Reaves was returning to the Knights. 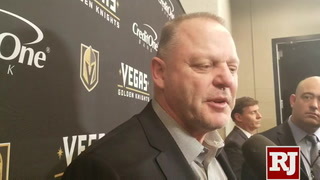 Reaves’ agent, Kevin Epp, did not return multiple messages seeking comment. 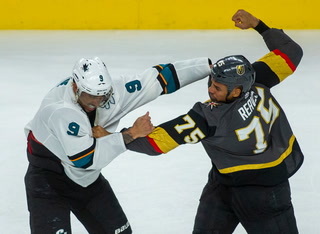 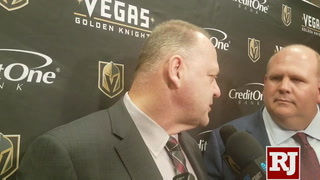 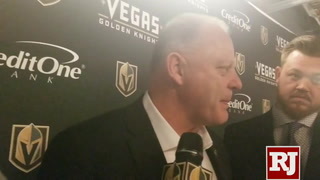 Reaves was acquired by the Knights before the trade deadline to provide a physical element. 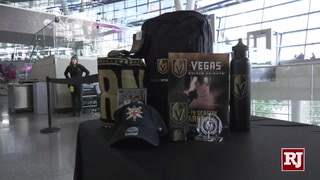 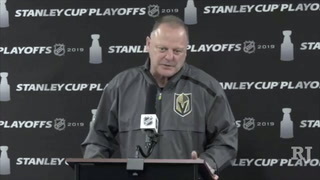 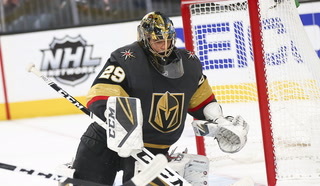 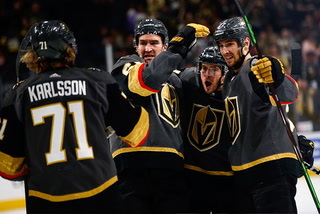 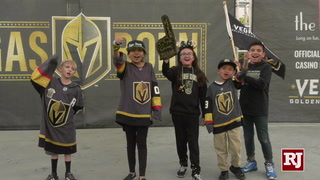 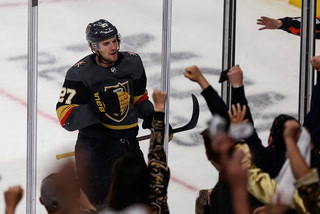 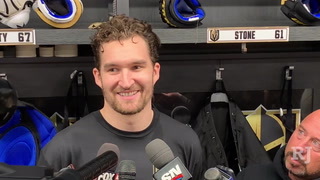 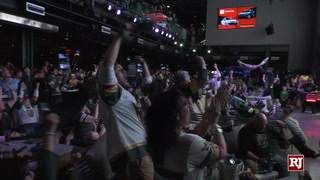 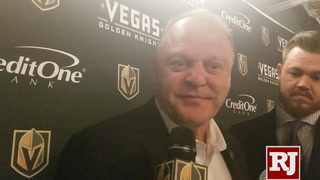 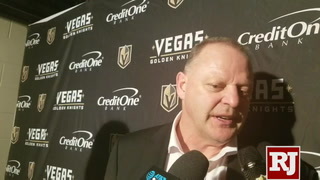 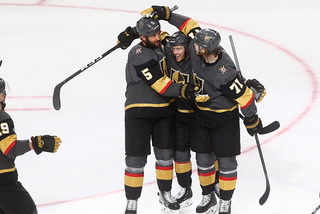 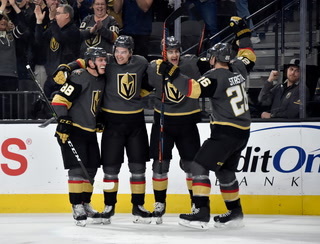 But he will be most remembered for his second-period redirection of Sbisa’s shot against Winnipeg in Game 5 of the Western Conference Final, which proved to be the winning goal and sent the Knights to the Stanley Cup Final. 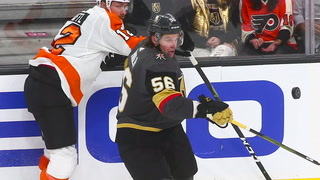 The stick Reaves used to score was later sent to the Hockey Hall of Fame. 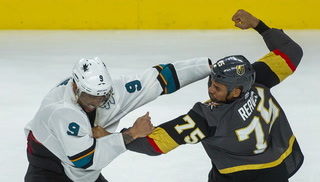 Reaves had four goals, six assists and 94 penalty minutes in 79 games with the Knights and Pittsburgh. 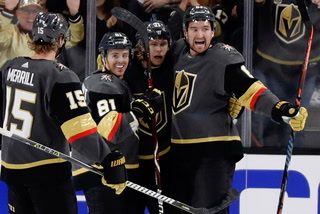 He added two goals in 10 games during the postseason. 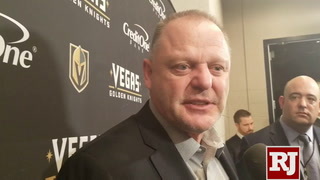 Vancouver, which is looking to add toughness, and Calgary were linked with Reaves, who completed a four-year, $4.5 million contract. 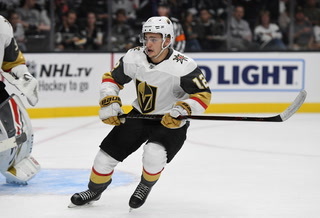 Sbisa, who opened last season as a top-two defenseman for the Knights but struggled to stay healthy, will not return, according to his agent. 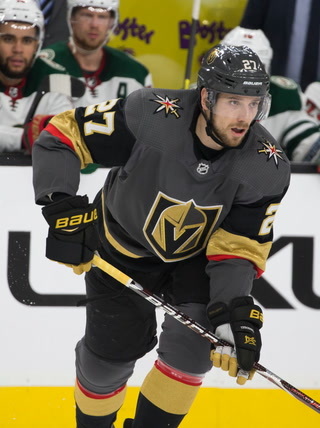 Andre Rufener told the Review-Journal on Friday that his client has not received a contract offer from the team and will become an unrestricted free agent Sunday. 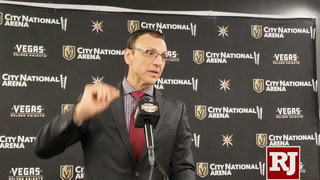 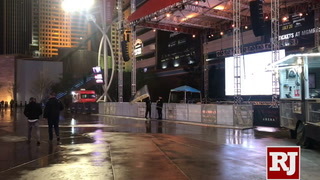 The news was first reported by NHL insider Pierre LeBrun. 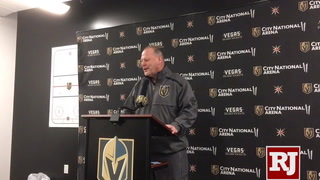 “We did negotiate with Vegas,” Rufener said. 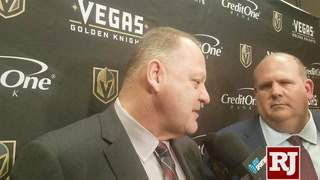 “We talked earlier in the season. 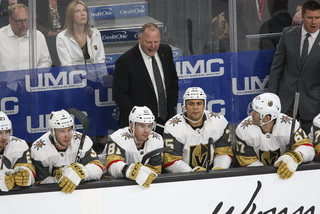 Then, Luca got hurt, and they put us on hold. 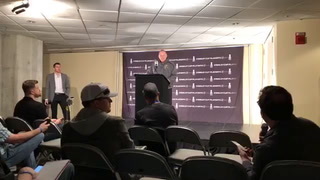 We never received an offer, so we move on. 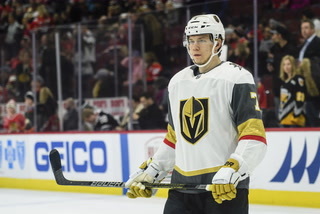 Sbisa, a former first-round pick, was selected from Vancouver in the expansion draft. 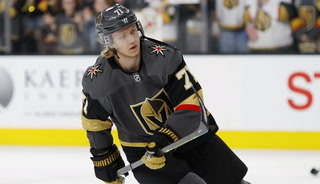 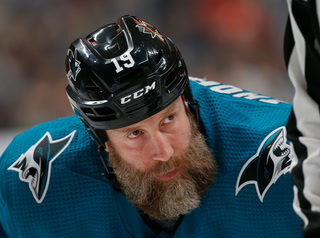 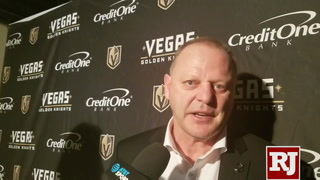 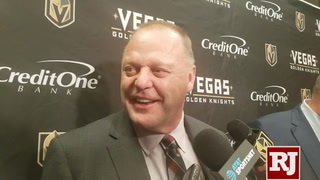 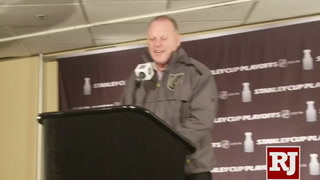 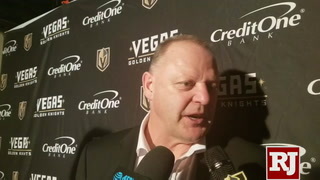 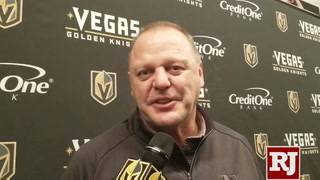 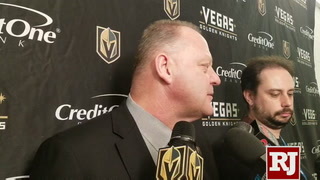 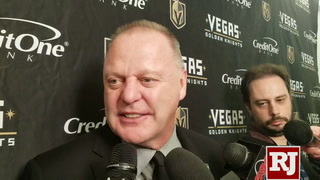 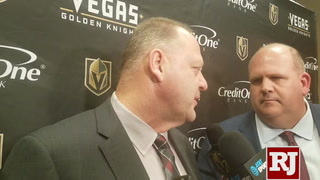 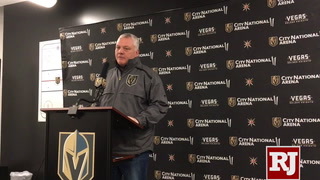 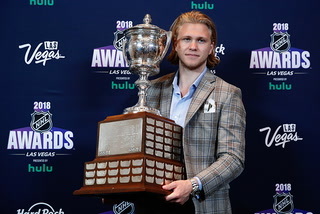 He was paired with Nate Schmidt on defense for the first month of the season and often faced the opposing team’s top forward line. 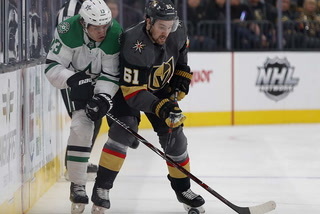 But Sbisa was injured Nov. 10 against Winnipeg and was in and out of the lineup the rest of the season. 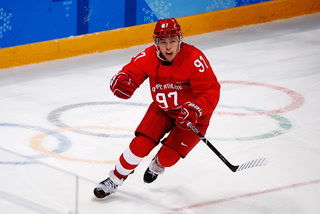 He appeared in 30 games during the regular season, with two goals and 12 assists. 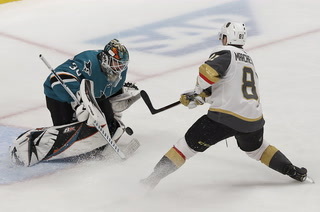 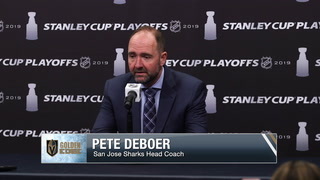 Sbisa missed the sweep of Los Angeles to open the postseason, and he didn’t crack the lineup until Game 5 of the Western Conference semifinals against San Jose. 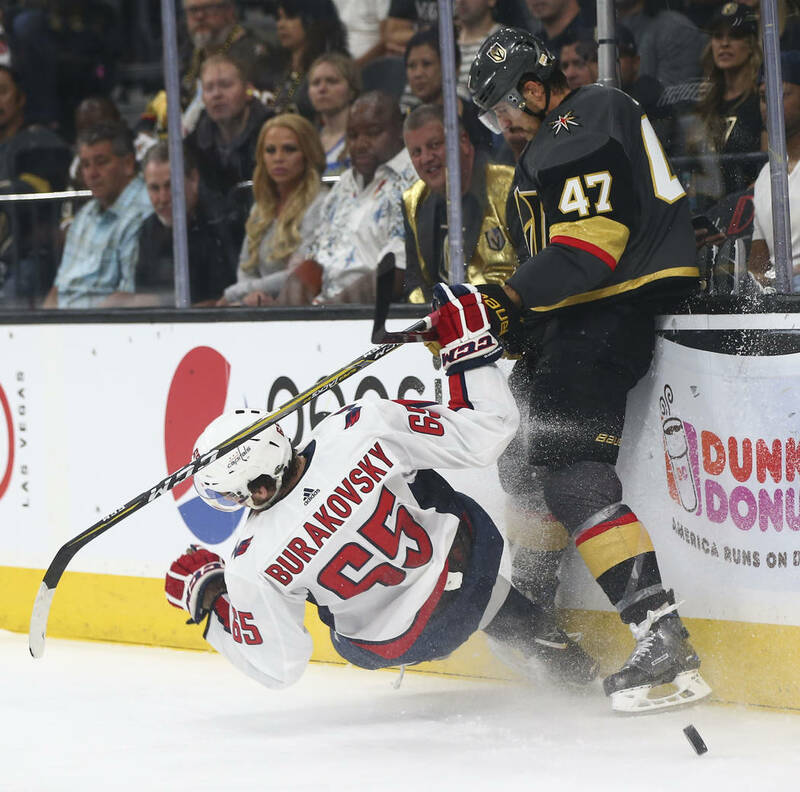 Sbisa had four assists in 12 games in the postseason, and he committed a costly turnover that led to Washington’s winning goal in the third period of Game 5 of the Stanley Cup Final. 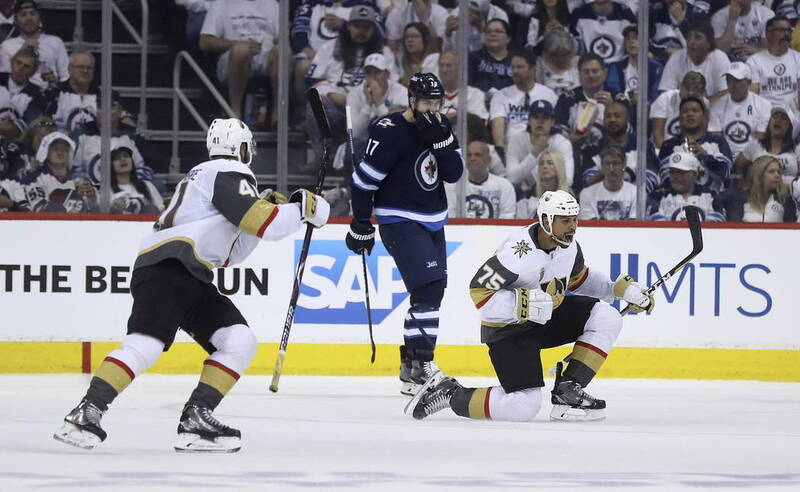 The 28-year-old Sbisa is at the end of a three-year, $10.8 million contract.